OFFERS Compelling? Did they act? CADENCE Frequency too high or low? EMAIL LISTS Good, Bad, UGLY? color scheme, branding, logos, and URLs. Get to know your customers. The better you know your customers, the better you can serve their needs. 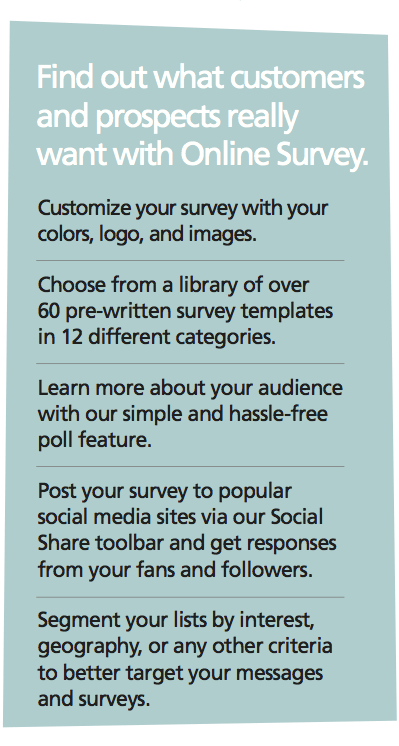 Get your online survey built in just a few days with our Survey Creation service, so you can get the feedback you need fast.